Jens Risom Scoop Chair for Knoll. Has black lacquered legs. 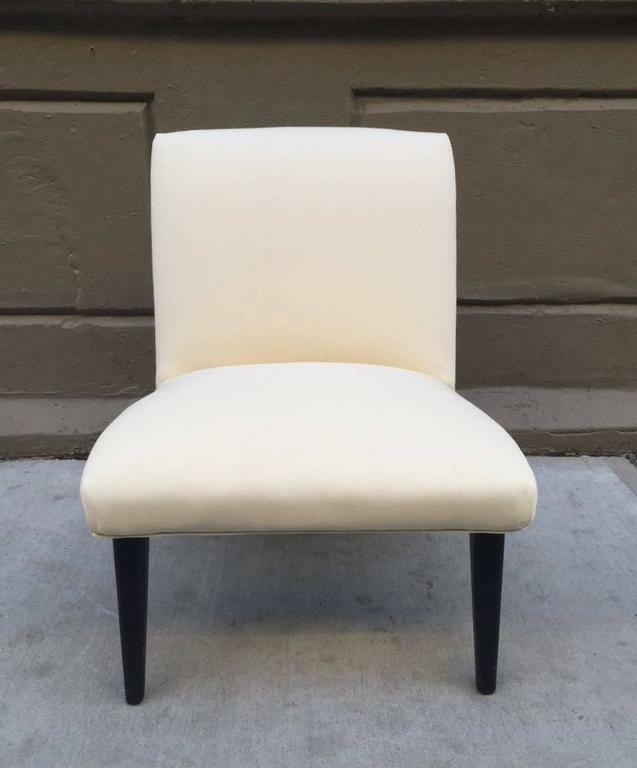 Jens Risom Lounge Chair with a walnut sculptural base with original upholstery. 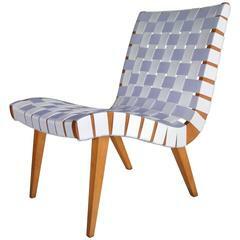 Jens Risom lounge chair. 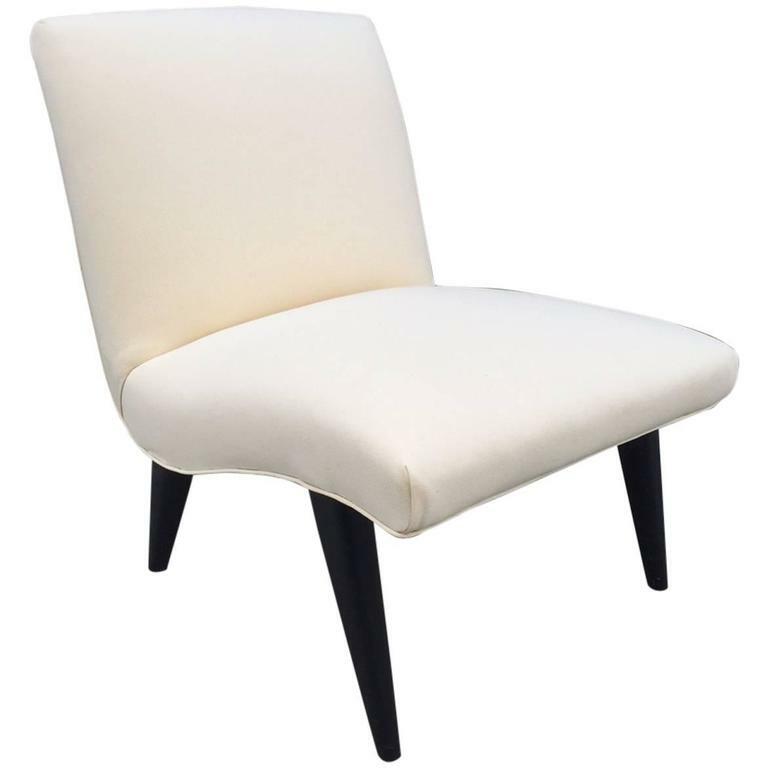 Newly upholstered in a linen-blend fabric with a black lacquered base. 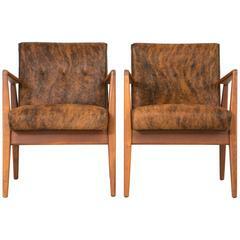 Pair Jens Risom lounge chairs. Has a walnut base and the original fabric. 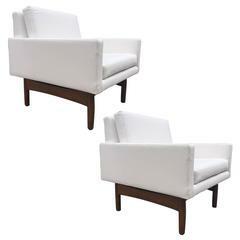 Pair of Jens Risom lounge chairs with a walnut base and linen-blend fabric. 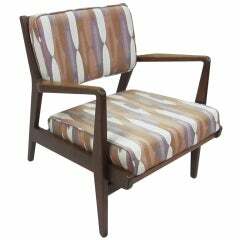 Jens Risom strapped lounge chair(s) dated 1941. All three chairs in very good condition. Sturdy. Buy one or purchase all three. 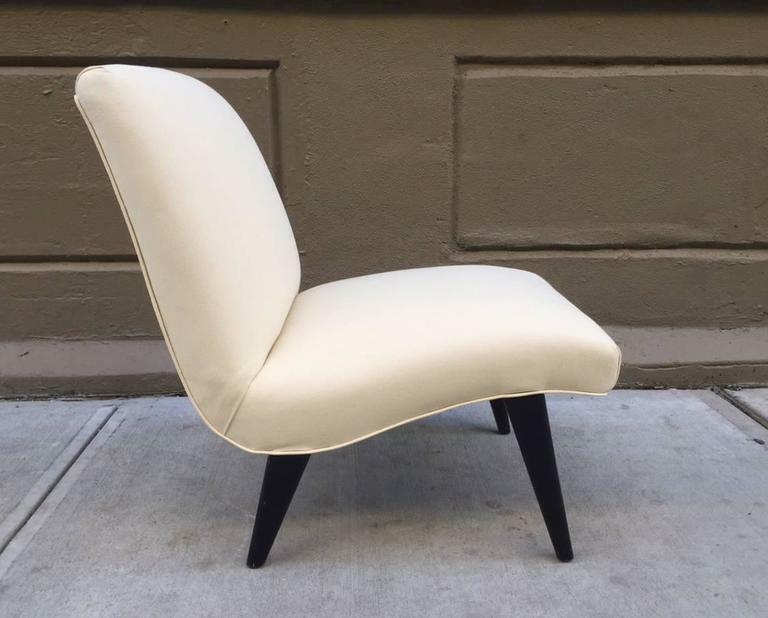 Newly refinished webbed lounge chair in birch by Jens Risom. Webbing is a white vinyl. Signed Knoll International. Jens Risom walnut swivel chair. Large scaled and extremely rare. One of the rarest designs by furniture design legend Jens Risom. Newly upholstered in light grey chenille. Walnut base fully restored. Jens Risom Lounge Chair for Risom Design Inc.